Group Discussion Ideas > Economic GD Topics > India’s obsession with Gold – How it affects Indian Economy? 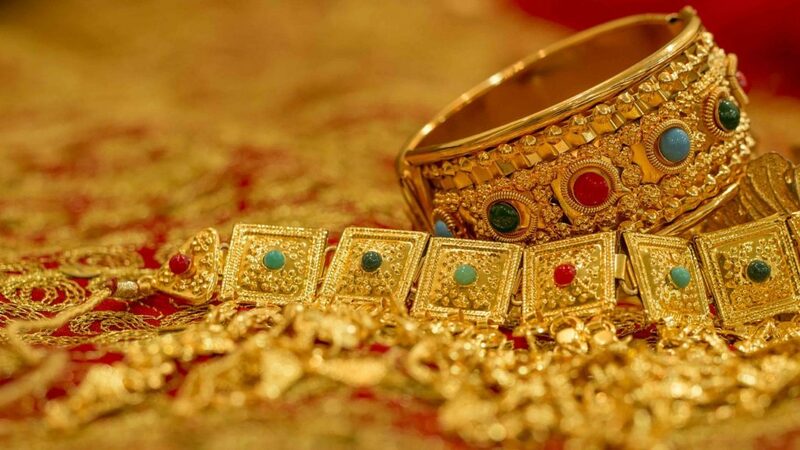 India imports 40% of the World’s total production of Gold, making India as the top importer of Gold metal. India imports approx 1000 tons of Gold per year. The imports are mainly from China, USA, Australia, South Africa and Russia. In India, approx 4000 tons of gold is lying idle in Temples, and approx 15000 tons is in Indian homes. Gold imports of India is on the rise. Indians prefer buying gold in metal form, whereas Gold bonds, futures are preferred in other countries. Average Indian middle class family’s lifetime expenditure on Gold is approx 15 to 80 lakhs. Demand for gold in India is different in different parts of the country. Generally, South Indians buy lots of gold ornaments. ‘Reserve Bank of India’ has setup a committee to study why Indians spend lots of money on Gold. The committee will submit its report in 2017. In India, Gold is considered as auspicious. To wear daily or occasionally. Security in the times of inflation. Gold is considered as a good investment option, as the gold price in india is always on the rise. It is cashable at any time. Many festivals in India are associated with Gold, at least in these days. Gold is compulsory in Indian weddings. The tradition of giving Gold jewelry to bride is continuing till now. In ancient days, this tradition was started to help women in difficult times because the jewelry is bride’s independent wealth. A good chunk of black money is converting into gold, because buying gold jewelry doesn’t require documents. Storage of gold is not taxed, whereas tax is applicable on land, fixed deposits etc. People with no bank accounts, mostly from below poverty line saves their little earned money in the form of gold as they barely have alternate investment options. Rich and middle class are increasingly offering gold ornaments as gifts to temples. A large chunk of foreign exchange reserves is being spent on Gold imports. Rupee’s value is getting hit by this phenomenon. Gold jewelry will not be sold soon. Idle gold cannot help our Economy. Half of savings of Indians are in the form of gold. If this money is in banks, big positive changes will happen in India’s Economy. Rich and middle class are buying gold. As a consequence of that rupee depreciates, thereby inflation occurs. And the effect will be more on poor, because of price rise. Hence, it is widening gap between rich and poor. Govt of India increased tax on gold imports to lessen the demand for gold imports. Gold Monetization Scheme was launched in 2015 to bring out the gold lying idle in homes into the Indian Economy. Through this scheme people can deposit their gold and can earn interest on it. But the response was not upto the mark since the jewelry will be converted into gold bars. Temples are the major beneficiaries for this scheme. Indian Government should rise interest rates on saving accounts to encourage savings in the form of money. Awareness programs should be conducted on alternate investment options and also about the effect of gold imports on Indian economy. PAN card should be made mandatory to buy costly jewelry to curb black money getting converted into gold ornaments. We can invest on other alternatives like mutual funds, Gold bonds etc. It’s safe for us and the for the Economy as well. We can wear other types of jewelry rather than piling up gold ornaments in home. It is impossible to separate Gold from Indians, at least now. But we can control ourselves from buying more and more ornaments. We should look beyond gold for investment options. Increase in interest rates will definitely encourage people to save money in banks instead of buying gold. Many good points here. What about tourists and foreigners traveling to India. How can they obtain Pan Card easily without corrupting officers to get it quicker ?!!. Many Officers are already making good living on approving OCR.